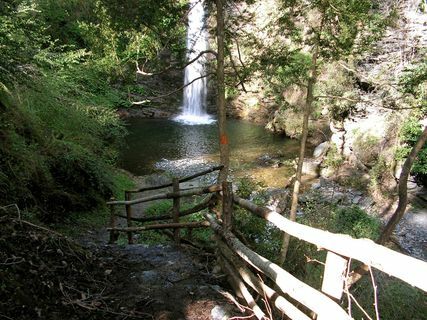 A hiking trail that will take you to the river that ends in a waterfall of beauty. The start is on the left of the square of the village church Carcheto Brusticho. After a few minutes walk, you will find the fountain "di l'Onda." 100 meters down, between the walls of a circle of stones and surrounded by trees ageless unveils the cascade of Struccia with a fall of over 15 meters. Sehr schöner und ruhiger Ort. Man sollte die Badehose unbedingt dabei haben.